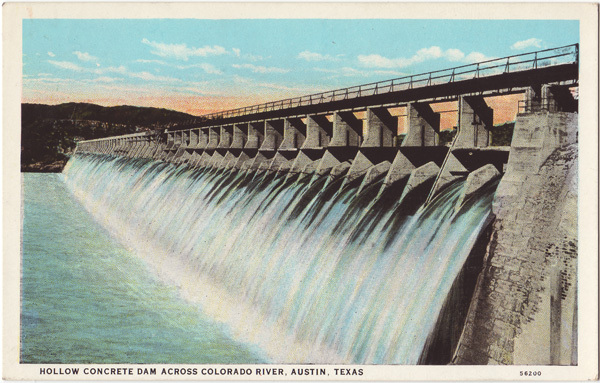 Lake Austin Dam constructed under U.S. letters patents Construction begun September 1911. Height of Dam 65 feet- Lenth 1091. Power equipment 7400 H-P. Transmission 3 miles, 6600 volts. The lake formed by this dam is 29 miles actual measurement. The Dam is constructed on site of old Dam, which was destroyed April 7th, 1900.